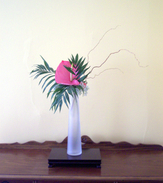 My work consists traditional and contemporary Ikebana practice investigating the essence of natural materials. 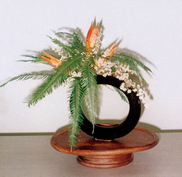 Ikebana works are construct and arrangement to expose beauty in simplicity, cyclical continuity, and reflect upon the physical harmony inherent in the natural landscape. 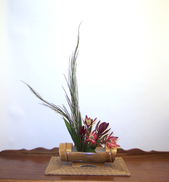 My work seeks to reveal the inner soul of the inanimate, the vegetal, the mineral and the indeterminant temporal substances of the natural environment.